Every day, alcoholism and alcoholic behavior affect countless lives across the globe. The disease of addiction tears through the lives of people who have never had a drink of alcohol and people who are not even old enough to understand anything about alcohol. Either while passengers of motor vehicles or pedestrians caught in the cross fire of a drunk driver, children are killed all the time from alcohol related accidents. According to the National Highway Traffic Safety Administration (NHTSA), in 2008 "1,347 children ages 14 and younger died as occupants in car accidents and of those deaths, 216 (approx 16%) were the direct result of drunk drivers". That statistic is a clear example of the fallout of the bomb that is alcoholism. Last summer Diane Schuler killed seven people including her while driving heavily intoxicated the wrong way down the Taconic Parkway. Four out of the eight victims were children, all of which were under the age of ten. People are still trying to piece together the events of that fatal day in New York, but, one thing is certain - Diane Schuler was drunk. 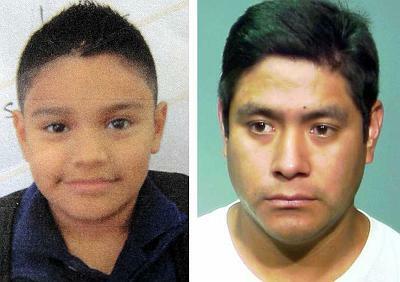 In the Chicago area a young boy was killed by drunk driver, Calvin Santos was only in the third grade - just ten years old. The young boy was walking between two parked SUVs when a van, driven by Martin Candia, slammed into one of the vehicles, which Calvin was sandwiched between ultimately killing the young boy. "Candia, 30, was charged with felony drunken driving and reckless homicide — as well as several traffic offenses, including driving on a suspended license — following the crash in the 6900 block of North Ashland Avenue", according to Chicago Sun-Times. This tragedy is another example of the long reach of addiction and just how people can be affected. We would like to extend our condolences to Calvin's family in their time mourning.